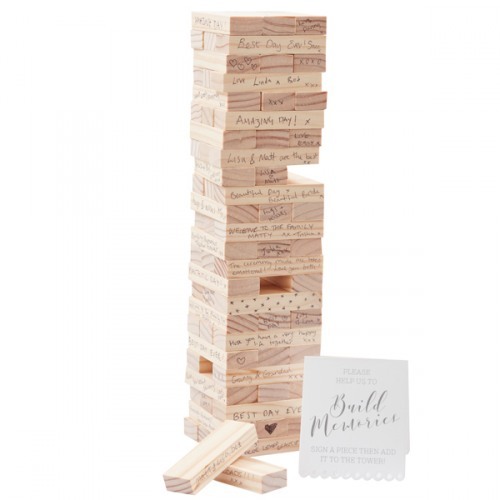 Size: Tower 3.5" x 36" x 3.5"
Your guests can use the blank wooden blocks to write their wishes to the newlyweds, then build a tower with your special messages. Great fun on your wedding day and the perfect keepsake to ensure that you can relive your special day for years to come. 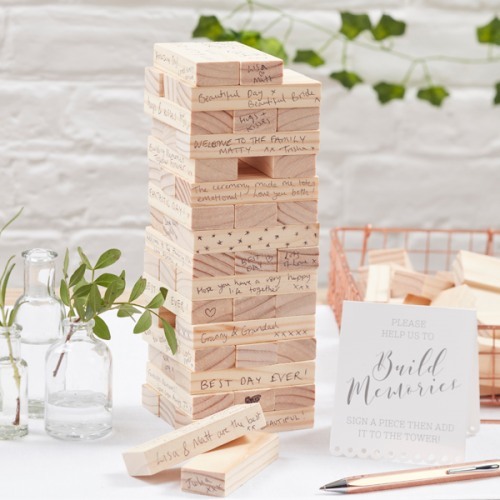 A great alternative guestbook for your special day. Contains 72 wooden blocks which create a wooden tower.